Back when I was a teenager at Pratt’s Corner in Southington, Connecticut, I grew up in an old homestead built in 1827 by Seth Pratt on seven acres of farmland and an expansive forest. It was perhaps when I was 14, or in 1955, in my early high-school days, there was one dull, overcast day in late October around midday when I was with my mother, Anna Marie Bartusiewicz Masthay, in the plain, unlit kitchen as she did her usual chores. While I was standing functionless by the kitchen table, she looked out the southward driveway-side window and suddenly proclaimed in Polish, “Śnieg pada” (‘snow falls, snow is falling, it’s snowing’), and indeed it had begun to snow, the first snow, the harbinger of approaching winter. Well, thruout my years Mother had used with us simple Polish nouns or phrases now and then for normal things: knife (nóż), cabbage (kapusta), potatoes (kartofel, ziemniaki), Polish sausage (kielbasa, < Hebrew ‘all-meat’), bread (chleb), it’s hot (gorący), it’s cold (zimny), thanks (dziękuję), close the door (zamknięć drzwi), grandfather (dziadź[ia]), come here (chodź tutaj), but I never applied myself to Polish till years later when I was 23. However, that snowy day I went to the darkened, drab-day living room with its quite old, blue-designed rug with nothing to do or think about and then being wistful about not knowing Polish, and I looked thru the westward sunroom window seeing snowflakes falling. Hey, “snow” is exactly the same as “śnieg” (/shnyek/, with accented s as a palatal sound)! Empty of thought, I then thought about how there was no need for a sense of translation of that concept and about how many thousands of years ago Polish and English had separated but still kept the same relative sounds and were “cognate” words. I was stunned. I was in a trance: What did this all mean? How many other languages have cognates (a word I didn’t know at the time)? I didn’t own the foreign-language dictionaries that I do now, and so I couldn’t run to them and check for cognate words for “snow.” How could I find out? From then on I wondered about some other Polish words that have a similarity to English or German or Romance words and would pay especial attention to memorizing them. Later on I recognized the similarities in diverse and remote languages and that those words remembered were less difficult to keep in mind, and it became easier in learning them. That day began my interest in languages, many of them. I was “snowed”! That’s what happened because ‘it was snowing’ (śnieg padał). Indo-European: *sneigwh ‘snow, to snow’, possibly from ‘to wet or flow (like dribble or oozing)’ or like Sanskrit snih-‘be sticky’. 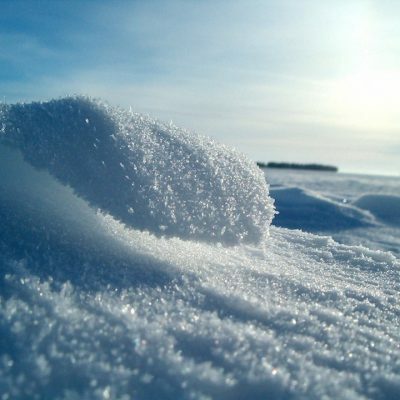 O-grade form: *snoigwh-in Germanic *snaiwaz: Gothic snaiws, Old English snāw, Frisian snie, Dutch sneeuw, Old Norse snǣr (snjōr, snjār), Danish sne, Swedish snö, Old High German snēo, German Schnee /shnay/; Irish Gaelic sneachta /snăkh(k)ǝ/, Welsh obsolete nyf /nüv/; Old Prussian snāigs, Lithuanian sniegas, Latvian sniegs, Latgalian snīgs; Slavic: Church Slavic sněgǔ, Serbo-Croatian snijeg, Czech sníh (voiced h), Slovak sneh, Polish śnieg, Russian sn′eg /snyek/; Indo-Aryan: Avestan as verb snaēža- (snaēg-), Middle Persian snēhr unless snihn/snihr, Prakrit siṇeha-, siṇhā-, Shughni žǝniǰ. Armenian tsiun ‘snow’ is not a cognate, instead being a cognate to Greek khiōn ‘snow’, Sanskrit hima-‘snow’, Latin hiems ‘winter’, Church Slavic zima ‘winter’. Zero-grade form: *(s)nigwh- in Romance: Latin nix (nik-s; genitive stem niv-is), Italian neve, Spanish nieve, Romansh naiv, neiv, nev, Friulian nêf, Catalan neu, Old French noif, French neige (/nezh/; deverbal of neiger /neh-ZHAY/ ‘to snow’), Romanian dialect nea, and in Greek poetic accusative nipha from unattested *nips (nip-s). 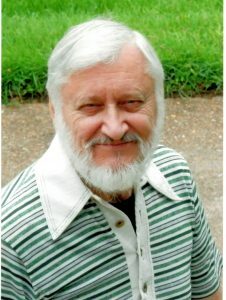 Carl Masthay, /MASS-tay/, born 1941, grew up Southington, Connecticut. Polish ancestry. Learned Mandarin in USAF 1960-1964, Okinawa. Northern Michigan University, BA, French (honors); legal doctorate in linguistics 1992. Mensa 1991 life. Resident St. Louis since 1967. Medical editor Mosby/Elsevier: 1968-2002. Numerals in 3300 languages. Algonquianist: dictionaries Mahican, Miami-Illinois; Languages and Lore of Long Island Indians, Oral History of the Mongols, and more. Amateur astronomer. Plays pool. Language attitudes towards Sheng: deterioration or unification?